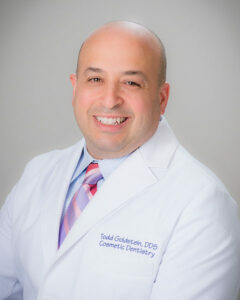 Dr. Todd Goldstein is experienced with a comprehensive range of dental techniques, offering advanced care for patients who are looking for high-quality general, restorative, and cosmetic dentistry procedures. Dr. Goldstein strives to improve the health, appearance, and function of your teeth with results that can genuinely enhance your livelihood. His friendly and comforting chairside manner, along with his extensive knowledge and training in a variety of dental fields, are just some of the many reasons why Dr. Goldstein has proven to be such a great addition to our team here at Spring Lake Dental Care. Dr. Goldstein believes that the consistent pursuit of continuing education is of vital importance for dental professionals, providing them the knowledge and training they need to perform the absolute latest treatments and techniques. He has completed thousands of hours of additional dental education, and will continue to do so throughout his career. In addition, Dr. Goldstein is certified in the placement of Invisalign® and ClearCorrect® orthodontic aligners. When Dr. Goldstein is not here at the office helping patients renew and rejuvenate their smiles, he enjoys spending his spare time with his wife Karina and their sons, Alex and Tyler. He is also an avid reader, as well as an exercise and sports enthusiast. If you would like more information, or if you would like to schedule a consultation, please contact Spring Lake Dental Care today.